Google introduced Google assistant few months ago for some selected devices. But now Google Assistant is available for devices having Android Marshmallow 6.0 and higher. Luckily, Google Assistant API is available for Windows, Mac, and Linux by which you can easily access Google Assistant on your Windows, Mac, and Linux easily. This method has Command-line user interface (CLI), not a Graphical User Interface (GUI). Here you will read about “How to Enable Google Assistant on Windows, Mac, and Linux” with a very easy method. Python 3.X.X (Install the latest version of python), click here to download now. 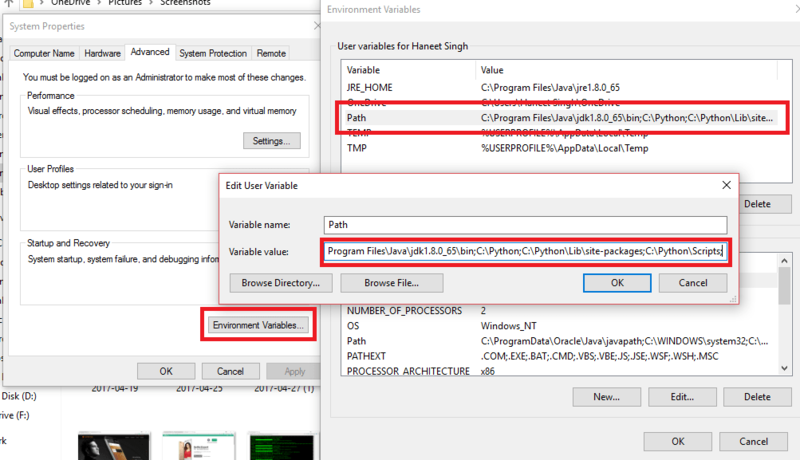 Install python in customized location: C:/Python/ and after installation set the python path, go to My Computer (This PC) then click on properties, go to advanced settings now click on Environment Variables now set the path to C:/python;C:/python/lib/site-packages;C:/python/Scripts; now save it. If you do not change the path, then Google Assistant will not work. A Little bit knowledge of command prompt for windows as well as the terminal for Linux. Firstly Go to Google Cloud Platform Console Website, now create a new project by press the Create Project button. Now give a name which you want, to your project. I named as YTECHB’s assistant. After this click on the bell icon it takes 4-5 seconds to creating the project, to access your created project, Now click on the created project. After the page opens up, click on API Manager then click on Dashboard to configure the project. Now in the Dashboard of the project, you will see an Enable API option click on that option. Enable API option will send you on Library page in which you have to search for Google Assistant and install google assistant API. Now Enable Google Assistant API to get a .json file for your Windows, Mac, and Linux. Google will tell you to use this API; you may need the credentials. Click on Create credentials to get started. In Create Credentials option you need to choose Other UI (Windows, CLI) under where are you calling the API from? To configure the settings select user data under what data will you be accessing. Now, Enter your email address and named your product which you like (I named it as YTECHB’s Assistant), you can choose which you want. Click on Done after filling up the requirements and download the .json file. Save the .json file to C:/Users/Public folder because it is easy to run the Google Assistant. Install the Google Assistant Sample Projects to your system, for this open your command prompt or terminal which your OS supports. Here you will use the following code: python3 -m pip install google-assistant-sdk[samples], or if this code is not working then you will use this code py -m pip install google-assistant-sdk[samples]. Now confirm the authorization code by allowing this permission box and copy the address which comes after the command executed and paste it in your browser. Type the following command py -m googlesamples.assistant.audio_helpers to hear your voice to the assistant. To use Google Assistant on Windows, Mac, and Linux, type the following command: py -m googlesamples.assistant and run the google assistant now ask anything you want google assistant answers your all queries. That’s all friends if you find this site informative then don’t forget to share with your friends and relatives. Also Read: How to Get Google Assistant on Android Marshmallow without root in any country easily. You have read How to Enable Google Assistant on Windows, Mac, and Linux. Stay connected to YTECHB for latest Tech News, Mobile Tricks, and Tips, Telecom News, Accessories, Mobile Reviews and much more. Like our page on Facebook, Follow us on Twitter, and Subscribe our channel on YouTube @YTECHB. If you have any questions regarding How to Enable Google Assistant on Windows, Mac, and Linux, ask by using #YTECHB in the comment section.